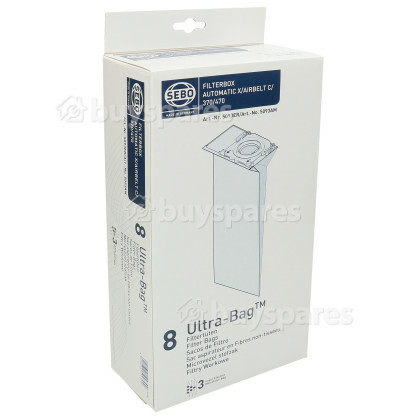 This pack of 8 genuine Sebo vacuum bags boast some fantastic features including the ability to retain bacteria, allergens and other potentially harmful substances. 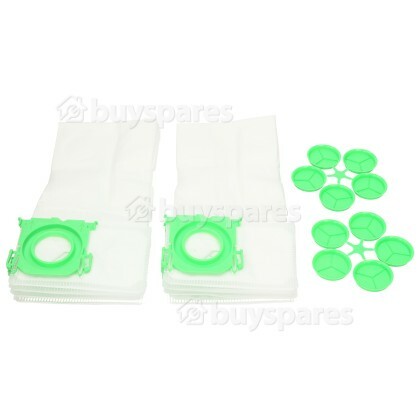 They offer improved airflow and better filtration to help enhance performance and protect the filters and the vacuum from fine dust. 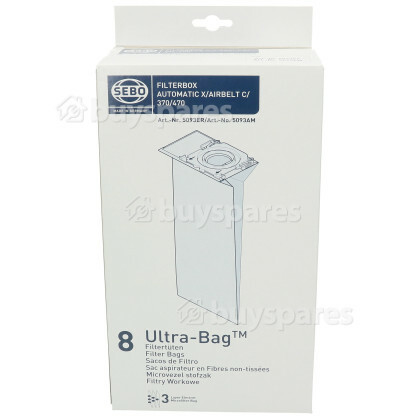 They also expand to fill the bag cavity better, thereby offering increased capacity. 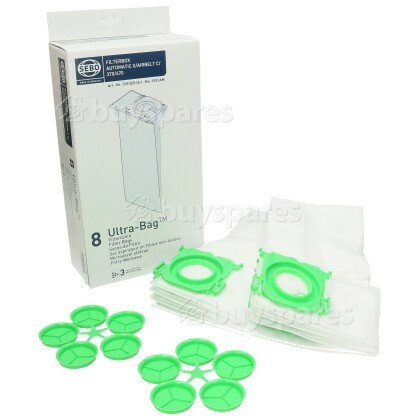 The SEBO filter bag system not only enhances filtration, but it also allows you to hygienically dispose of collected debris. Featuring sealable high filtration, dust isn’t a problem as it safely retains dust within the filter bag to be easily disposed of in the bin, inside or outside. 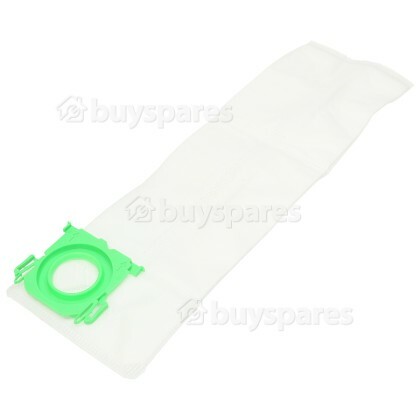 Also, the filter bag housing remains free of dust and does not require cleaning. Each bag can be sealed for hygienic disposal. Please check model fit list to ensure this part is correct for your model. We constantly check our prices so you get a good deal!